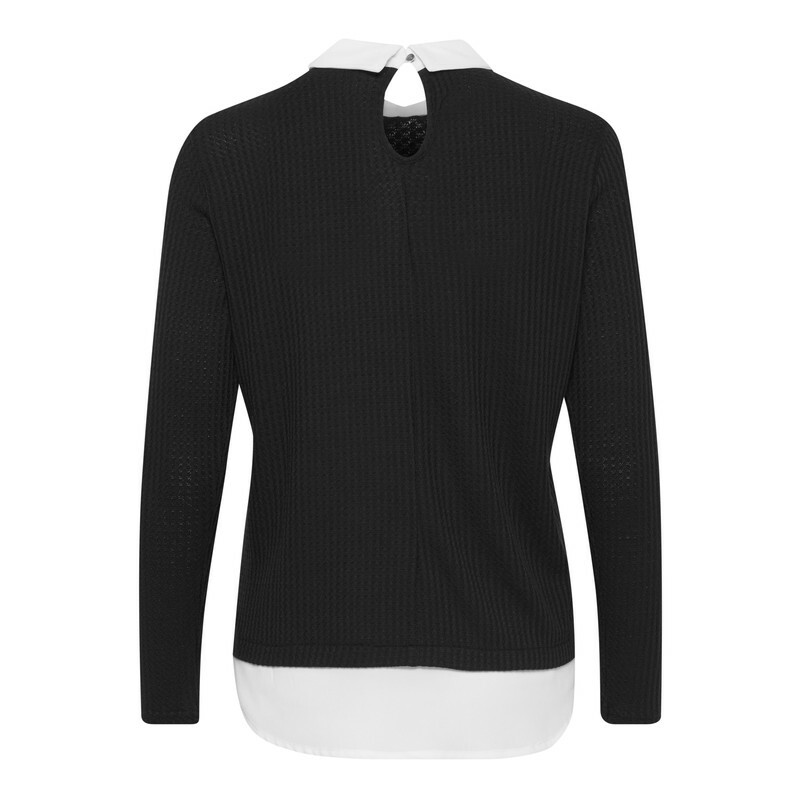 Pirex T-shirt from Fransa. 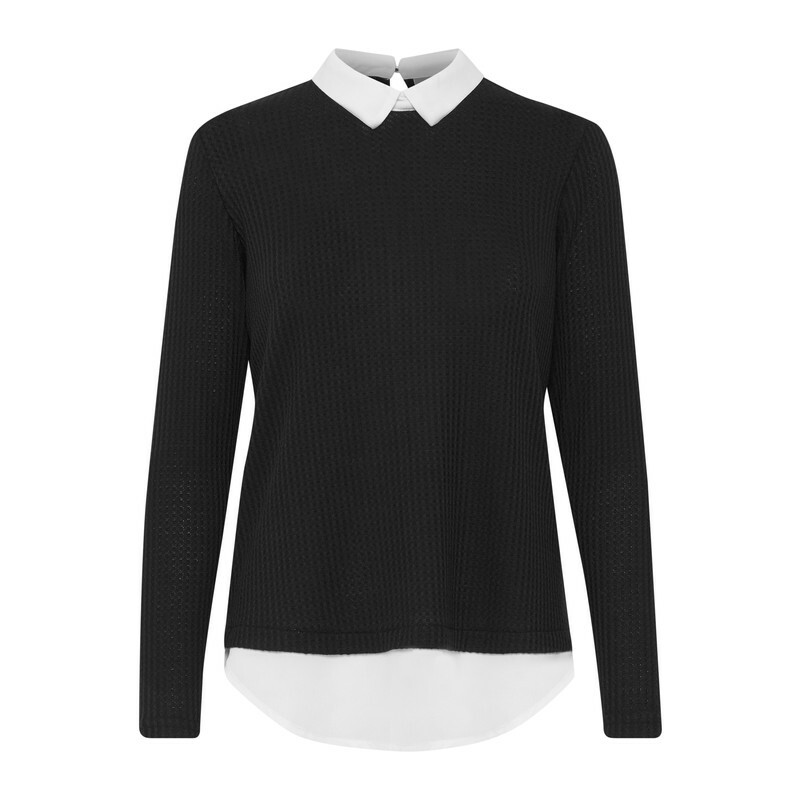 Lightweight round neck jumper with underlay shirt detail at the collar and hem. It has full length sleeves. Perfect with jeans.